Home» VideoScribe» Community» VideoScribe questions and answers» TIPS to Avoid or Fix Videoscribe freezes, crashes, slowdowns, failure to export, or erratic behaviours. If you use Version2, just save the file with a new name (If you have Version1 use the "save as a NEW copy and close" option) and then restart videoscribe, and open the new scribe. This process MAY provide a TEMPORARY workaround and allow you to render a scribe or continue editing your work even if there are still other problems (listed below) that should probably be addressed. I only listed this tip first because it may be the easiest thing to try. Rebooting may also free up some memory and allow problematic scribes to render successfully. 5) Things will probably run more smoothly if you keep your camera zoom approximately in the 25%-500% range for EVERY element. After you add any element, immediately click "set camera" then scale or move the element as desired. You can set the camera again if needed. Do this for every element you add in order to avoid accidental zooming which may become worse with each element. (when you zoom in and out, you should see a little blue tab in the lower left corner of the canvas showing your current zoom level.) You MAY be able to zoom in to 1000% or more before seeing problems, but I wouldn't recommend it. (percentages mentioned here are only estimated). 7) ASK SUPPORT for specific feedback: You can save the scribe online, providing the name of your saved scribe (in your own thread), describing the exact symptom you are experiencing and asking customer support to take a look at it. also check the troubleshooting section of the INSTANT ANSWERS page for known bugs or solutions to common problems. 10) In Version 2 if you have imported many fonts, try deleting the ones you aren't using. More imported fonts take up more memory. Some fonts may use more memory than others. 12) If your video rendering repeatedly freezes at the same part, and you've already tried restarting videoscribe and optimizing your images and making your camera settings moderate, I'd suggest deleting that image and maybe the image after it, and then importing them back in. 13) THIS HAS BEEN FIXED: in version 2.0 it has been noted that morphing with an animate time of zero will cause videoscribe to freeze. 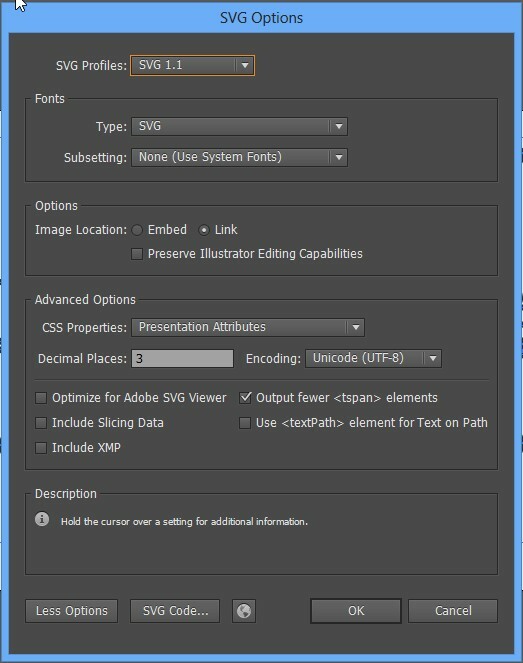 change animation type from Morph to Draw. I think that problem has been resolved in versions 2.0.2 and newer. 15) if the scribe freezes at the same part repeatedly (when playing or rendering) then there may be a problem with that element or camera setting or maybe the image has become corrupt as a result of other problems in the scribe. Try deleting that image and re-adding it. 16) general tips for making SVGs that draw well and don't crash videoscribe: How can I make SVGs that draw well (community guide) ? 17) I believe that higher image import quality settings require more processsing power and memory. The maximum setting is 4000. I'd suggest 1000 or less. 18) Sometimes a corrupt image may cause the timeline to appear blank in version 2. With all due respect after trying all suggestions here I am still having rendering problems with Sparkol. What else can I do. This is really annoying. If you could Ask a new support question and include details of exactly what problems you are getting we can investigate for you. I am having the same issues. Have not been able to save any video on my computer and I tried everything suggested. Could you ask a new support question and save your scribe online as described above? Is anyone else experiencing this problem? I have been unable to use VideoScribe for several days. Every action makes it freeze and crash. Here is a strange phenomenon that popped up about the same time this began. I get these strange aqua colored rectangles show up. I have forwarded these problems to Sparkol and have not seen any remedies offered. I believe the little rectangles indicate elements that are not being displayed properly due to memory problems. resolving (some or all of ) the factors that are hogging up all the memory and then rebooting should probably fix that symptom. EDIT: hopefully Andy and Joe have helped you resolve this issue which may have been related to extreme camera zoom settings which can cause memory issues, or possibly multiple extra fonts imported which weren't being used, causing memory issues. Thanks, Mike. The only elements used are text, with no zooming. I have nothing else running, and have tons of memory available on my system. VideoScribe opens and shows to be using about 135,000k. When I open this scribe, which consists or 69 frames of nothing but simple text with music and voice over, it shoots up to 1.8 Million k. There is no reason this should be using this much memory. Always appreciate your help. With reference to number 11, does that mean we can't use voice overs?? I am having the same issues. I have spent hours on synch up a scribe to a voice over in a foreign language and when I went to save it crashed and I lost everything. Has anyone successfully resolved this crashing issue? What kind of recording equipment are you using? how long is your scribe? do you have a soundtrack on it? Are you able to save your scribe to the online directory? Are you using the latest version of Videoscribe? After 24 days there are no further comments so has this been resolved ? I am having the exact same problem and have tried all of the suggestions above without success. My old video maker FX was more reliable than this and in having to get a video out on a very tight time line my frustration was nearly high enough for me to say a few choice words !! Come on support, get it sorted. Videoscribe is very quick to send out newsletters etc but these arent resolving my problem. Hi Derek, Mathew is a Sparkol support team member and was the last person to leave a comment here. If you need any specific help or support, please raise a support ticket and we will be able to assist.